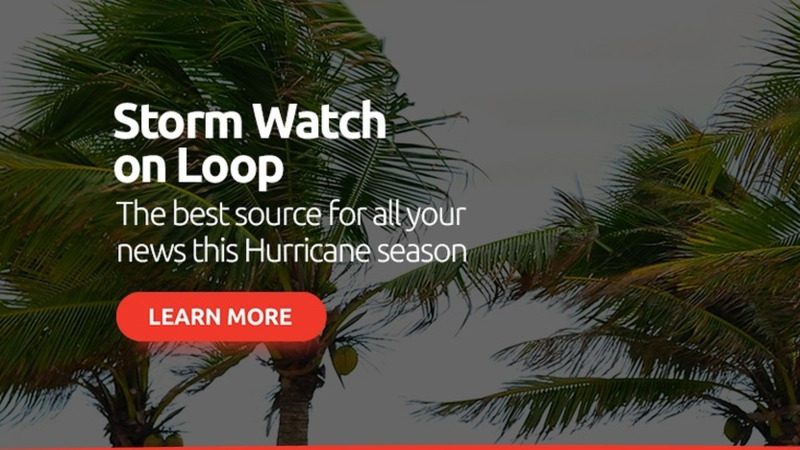 Hurricane Beryl, the first hurricane of the Atlantic season, has formed just east-south-east of the Lesser Antilles and is heading for the Caribbean. 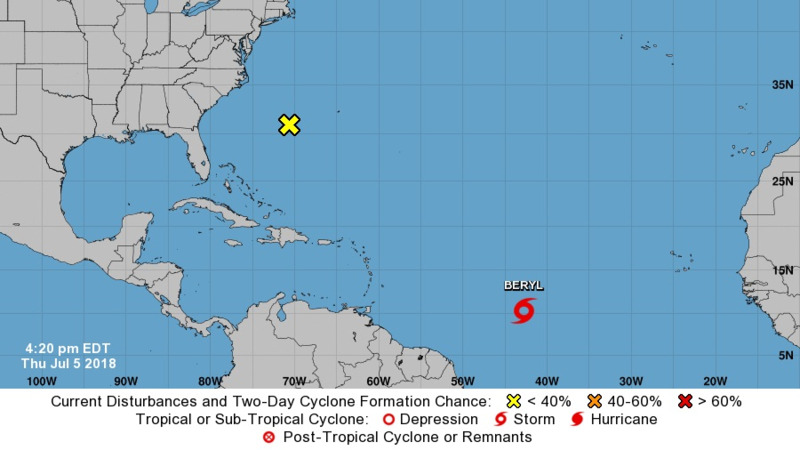 According to a 5:00 am update from the US NationalHurricane Center, Beryl has sustained maximum winds of 75 miles per hour (120 kilometres per hour) and if travelling West at 14 miles per hour (22 kilometres per hour. 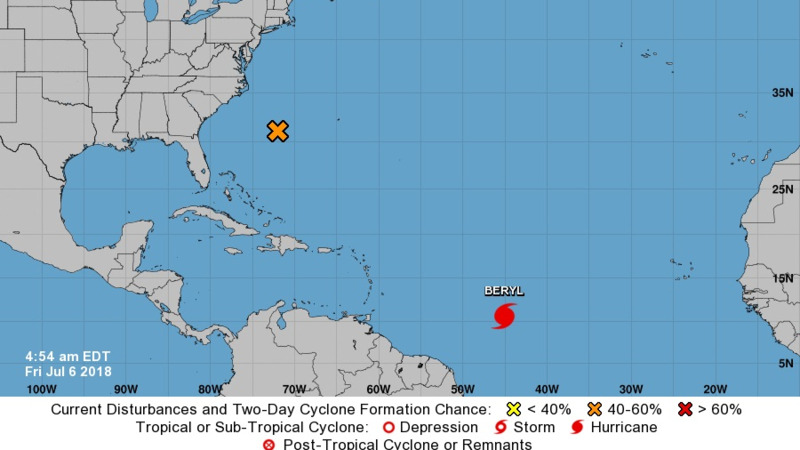 At 500 AM AST (0900 UTC), the center of Hurricane Beryl was located near latitude 10.6 North, longitude 45.1 West. 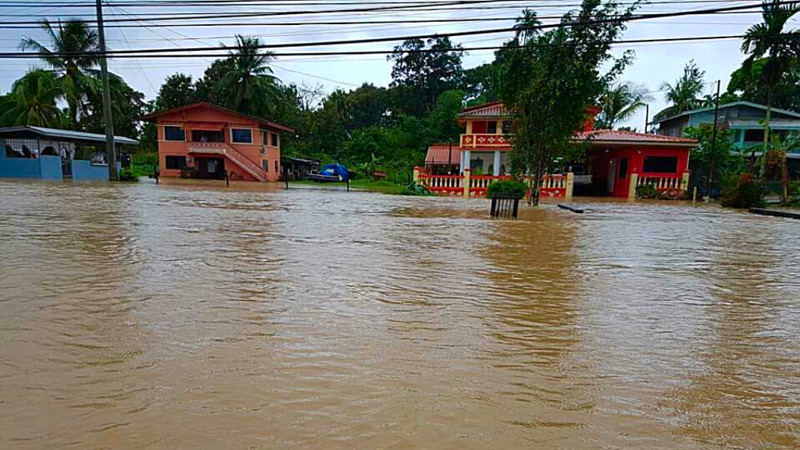 Beryl is moving toward the west near 14 mph (22 km/h). A faster west-northwestward motion is expected through the weekend. 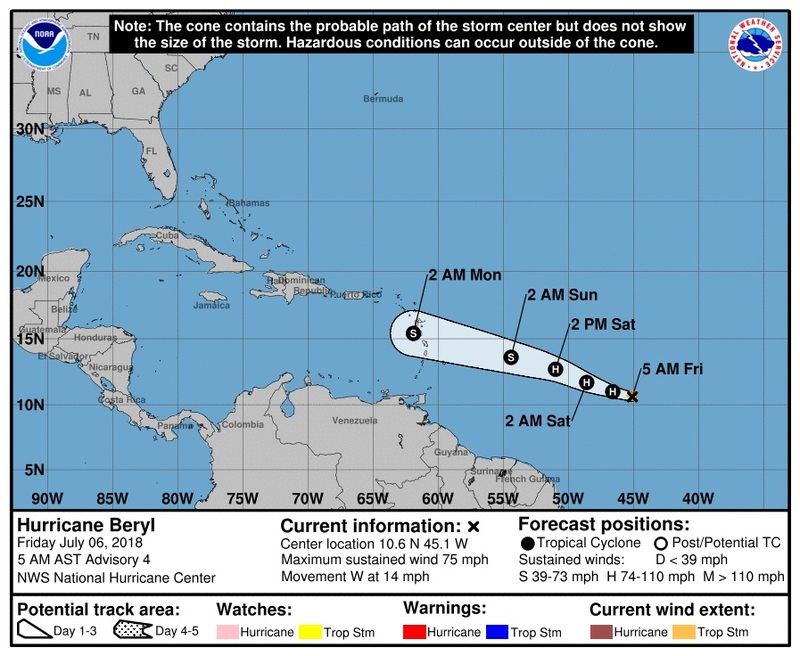 On the forecast track, the center of Beryl will remain east of the Lesser Antilles through early Sunday. degenerate into a strong open trough near the Lesser Antilles late Sunday or Monday.